Eavan was extremely glad that things had settled down a little since Paiseantath's last flight. The people who had thrown tantrums about their new Weyrleader had even been quieter about his displeasure since it had happened. New rules were already being implemented to keep those with no experience from joining in the Leadership flights, but it would still a bit before anything was set in stone. The fact that something was going to be done did make her feel better about Pai's upcoming flights. Hopefully the next one would not be full of so much unwanted and unnecessary drama. Paiseantath, my love, how are you doing? Eavan reached out to her gold. The dragoness was becoming quite egg heavy. Any day now she would lay her clutch upon the hot sands of New Atricis' hatching ground. She hoped that the clutch would be a good size, giving more credibility to Ay'li and Norieth. I have been busy while you've been doing paperwork. The gold stated in a rather smug voice. Though, there was a bit of her that sounded tired and worn out. You should come see what I have been up to. Paiseantath didn't so much suggest as she did order her rider to come look. Eavan was guffawed. You started clutching and you didn't tell me? I'll be there in just a moment. She quickly got her shoes on before moving into her wheelchair and then made her way out of her apartment. It took her a moment to get one of the older weyrlings to give her a lift down to the weyr yard, but then she was rolling into the sands as fast as she could. I've done this enough times by now, I know what I'm doing. Paiseantath stated with an air of pride about her. Norieth, you should come see your children. She spoke to her brown mate. Eavan got into the sands and closer to her lovely gold. "Alright, let me count them." She said as she began counting all of the soft shells. "Eighteen eggs, that's quite a good number for a brown sired clutch. You should be very proud of yourself, love. You and Norieth." The first seven day had not been an easy transition for the new Weyrleader, but Ay'li held her head high and kept her dignity intact despite all who tried to break her down. There were two in particular that certainly hadn't made the change an easy one, but the brownrider persevered, as she always had against opposition, striving to rise above it. Let them hate her, let them turn their backs on her when she could have used them for the good the Weyr, it only fueled the need inside her to prove them wrong, to better herself in doing so and lead this Weyr in ways they didn't believe she could. She chose the bronzerider Ol'ver as her Weyrsecond, partly because she was left with very few choices, but because the man was fair, clearheaded about the transition and could offer her sound advice, expertise and focus in the position. So far, she had not regretted her choice and thought that in fact, she and Ol'ver would end up working quite well with each other. Eavan seemed quite accepting of the change from the first morning, though they had also shared a moment of disbelief before each of them seemed to realize the reality of the situation and since have stood proud beside each other. Ay'li supported the changes to the Leadership Flight, and not because of female riders, but more the inexperienced ones that had been permitted to Chase this time around. While it would take time to work out all the logistics and cross all the T's and dot the I's, Ay'li offered her opinion whenever it was asked for and did what she could to help Eavan. The Weyrwoman Second was a bit more hesitant to adjust to the change, but Safryn eventually warmed up to her and the brownrider found her to be an engaging voice of the people, much as Ay'li had once been. All in all, the dust was settling among the Leadership and the transition was beginning to go a little smoother by the time Paiseantath had found her retreat on the Sands. While the queen had thought herself clever enough to steal away unnoticed by even her rider, there was a set of facets that watched her movements keenly. Even though Norieth still had a duty to perform, Leading a Wing and all the required drills, every spare moment was reserved for the fiery beauty he could satisfyingly call his mate. She had grown heavy with his first clutch, his rightful place at her side as Senior only added to the importance, but there was a pride that swelled in his chest any time he beheld the glowing queen. He knew his devotion would only grow the moment their children were laid upon the sands, that he would protect his mate and their offspring, stand guard every waking hour and dote upon the golds needs as surely as if they were his own. Norieth anxiously awaited that day. When it finally came, when the gold's mind reached his own, informing him of their children, the sandy brown wasted no time and even though he was in mid flight, he altered course for the Sands. The movement seemed to surprise his rider, Ay'li sitting up a little straighter in the saddle. "Hey, where do you think you're going? We have a meeting with Ol'ver." The woman chided the beast, slapping against his neck and tried to mentally tug him back on course. The brown would not be budged though. Paiseantath has lain our clutch, I must go to her. The dragon stated rather stoically and winged his way for the Cavern, very little argument to be made. "At least tell them we'll be late." Ay'li sighed, but knew how much this clutch meant to Norieth, and for the Weyr and their reputation. It was better this way, to lay witness as soon as possible and allow Norieth to indulge in this new found paternal pride. 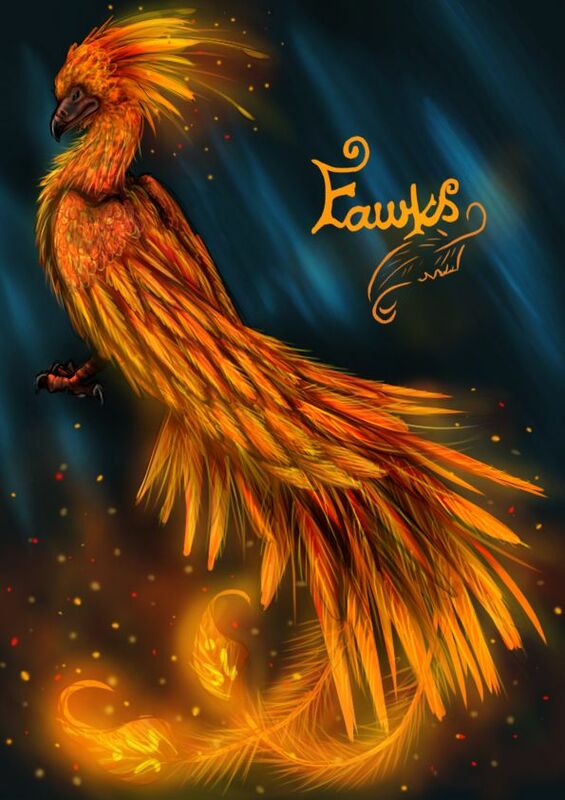 The pair backwinged into a landing, Ay'li quickly sliding off to join Eavan, while the mottled brown lumbered over to his mate, rubbing his pale snout against the hide that glowed like a sunset in the cavern. You are a wonderful and beautiful Mother. The male crooned sweetly before sidling up close to the queen and let his facets behold their clutch. A pleased warble left his throat as he noticed the size of it, his chest puffing up ever so much more and even his rider felt a certain pride at a fair number like eighteen. Not too shabby there Nori, for a first time. The rider half teased, though the brown only seemed to snort and puff it even more. It certainly wouldn't be his last one though. Instead of indulging his rider though, the speckled brown nuzzled against the golden beauty once more, lapping at her brow tenderly, already beginning to shower her with the devotion she deserved as the mother of his children. They will hatch soon, and grow up too fast, but they will always be Ours. The last six sevendays had gone by like a flash. While the shells of eighteen eggs hardened on the sands, Eavan's belly grew larger and larger as she neared the end of her pregnancy as well. Things were a little more settled now in the weyr, though she was sure there was still an undercurrent of bad feelings. While she could complain and whine about it, she didn't. Instead she went on doing her chores as normal, just as Ay'li did the normal chores of a normal Weyrleader. The brownrider was proving her worth in winning the Leadership flight. Eavan really tried her damnedest to not think about all the hard feelings that had been taken over this, she had other things to worry about...like running the weyr and the child that made her more and more uncomfortable every day. She just had to make it a little longer, then she and Ar'vis would be welcoming their new baby into the world. Well, she hoped that he would be back in time to welcome their child, but she wouldn't hold it against him if he couldn't. She hoped that it was a little boy. She loved her daughter and she knew Ar'vis loved his sons, but she wanted boy. Though, of course, she would love whatever they had. It is time! My children are hatching. Candidates! Come to the sands. Norieth, come sit by me as we watch our children come into the world. Paiseantath's voice rang out through the entire weyr, startling everyone. Eavan made her way to the sands as fast as she could, but even by then it was becoming packed with people wanting to watch or the ever hopeful candidates beginning to line themselves in a circle around the rocking eggs. She was happy that the day was so nice and the baby dragons were being so considerate as to hatch in the middle of the day. She took her spot on the leader's platform and welcomed Ay'li when she joined her. "Are dragons are quite the adorable sight. Here's to a good clutch." Eavan said to the brownrider. "Hatchings never last long enough." Eavan said wistfully after all the shells had broke and the matches had been made. New Atricis had 18 healthy, wonderful new weyrlings to add to it's ranks. She sent her profuse love and pride to Paiseantath as the gold finally left the sands to go hunt for herself and get a swim in the lake. Several nuzzles and rubs was given to Norieth for he had been a great mate and support for her. Whether or not he would be so lucky as to be picked again would remain to be seen. So far the gold had proven to not stick to one mate in particular as Lilith had, but Eavan knew her dragon could be a fickle creature and may decide to change her ways. For now...Eavan was merely happy that the hatching had gone so well and Norieth had proven himself a worthy sire.